These shapes have a common 3" dimension allowing exploration of relationships between area, volume, shape, form, size and pattern. 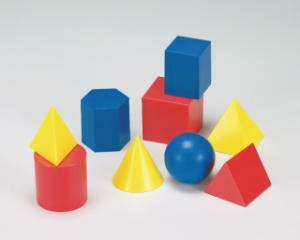 They are ideal for sorting and shape recognition. A storage box and project card are included. Set of 12.